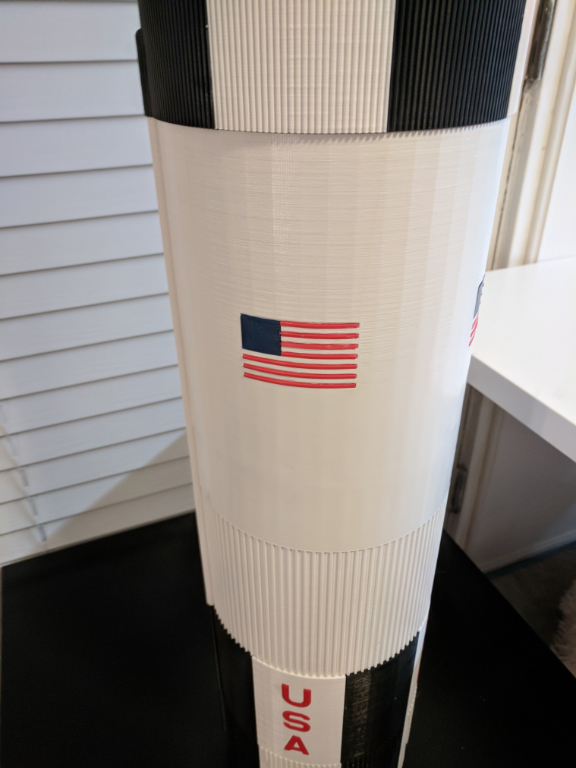 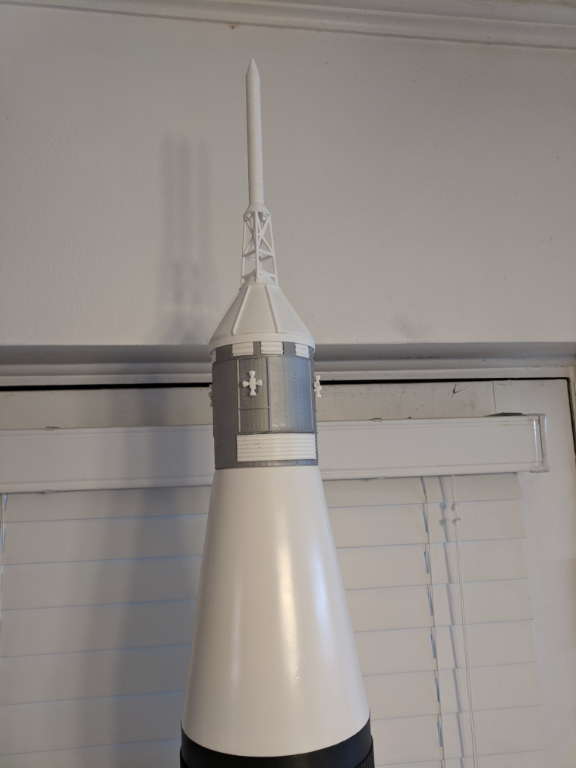 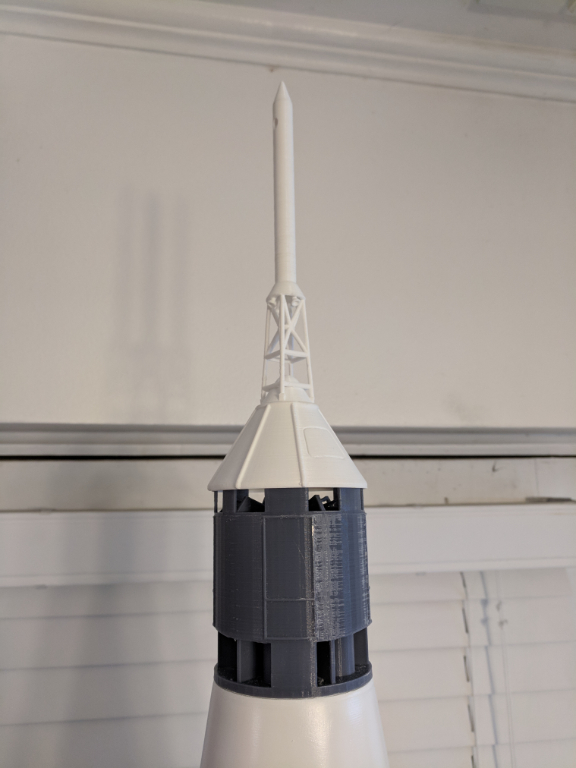 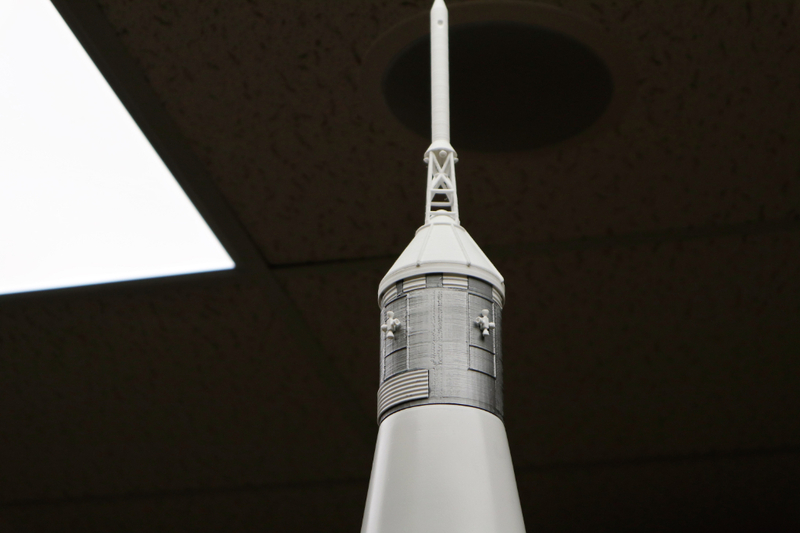 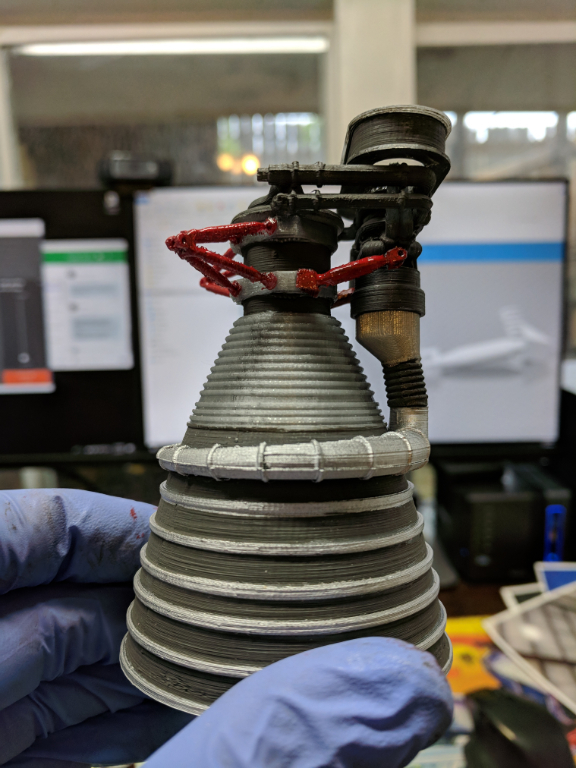 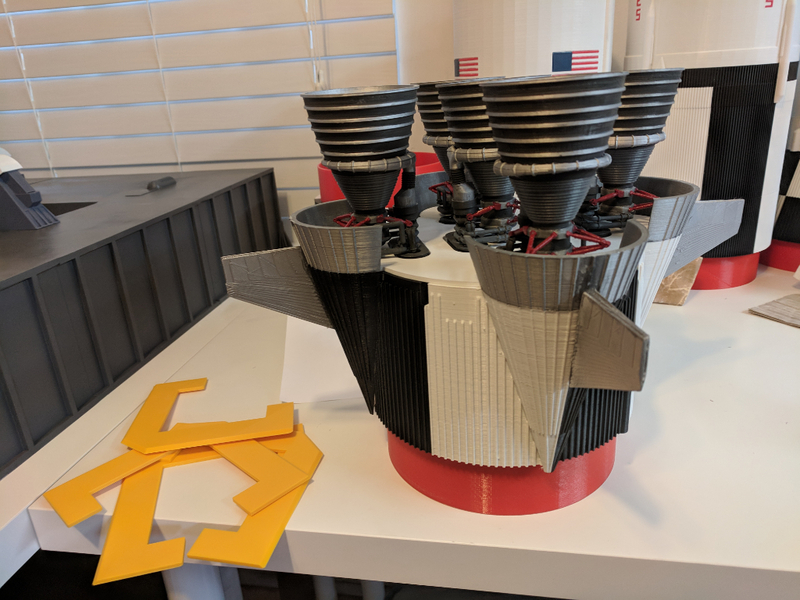 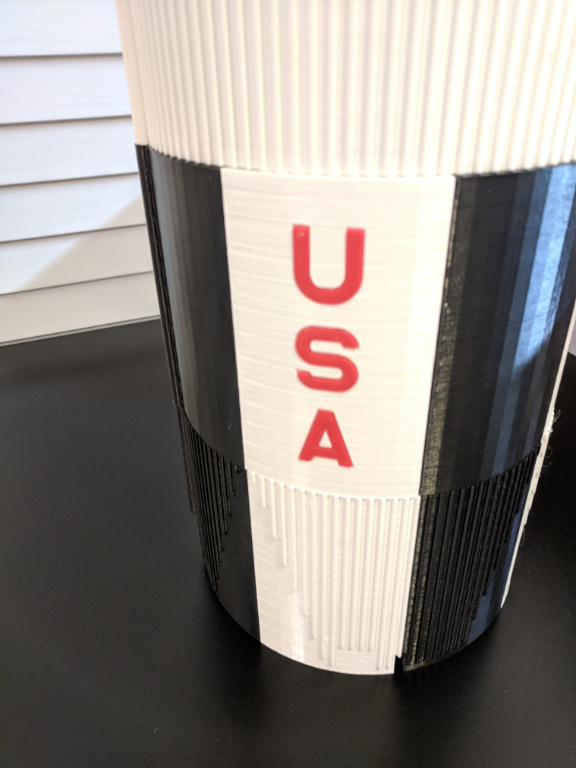 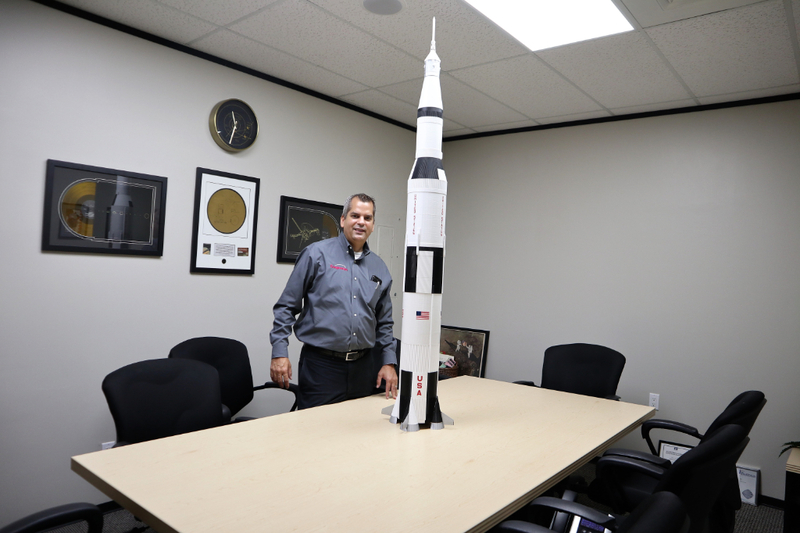 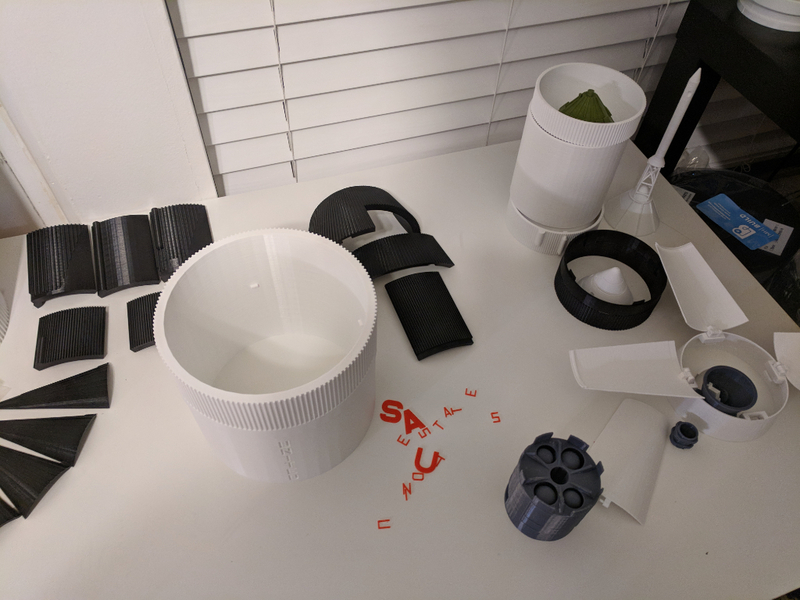 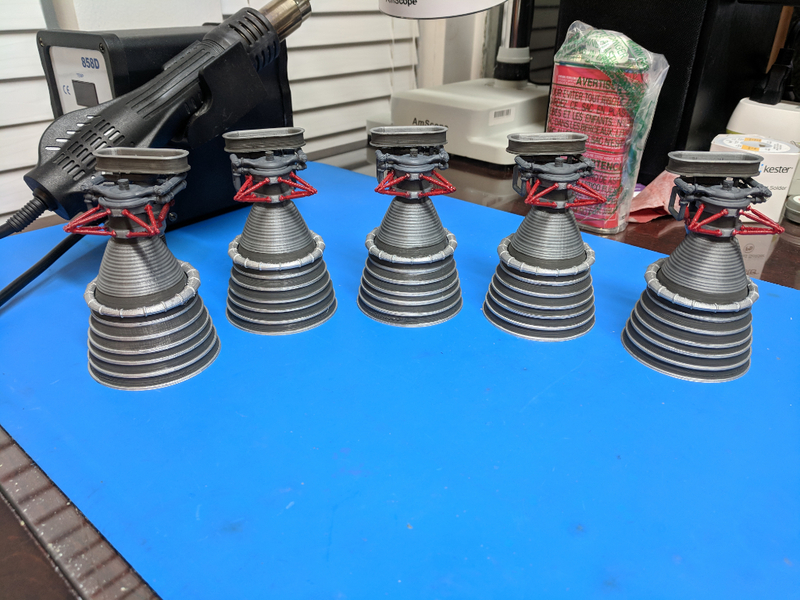 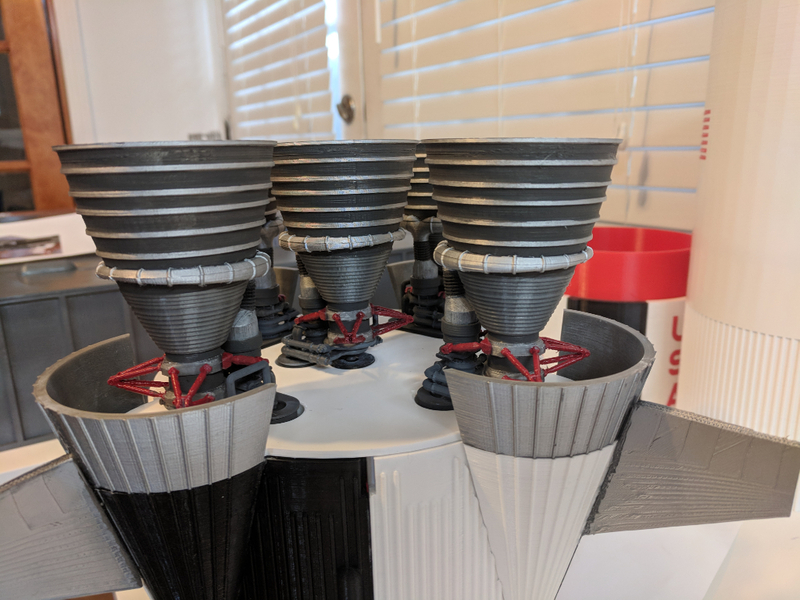 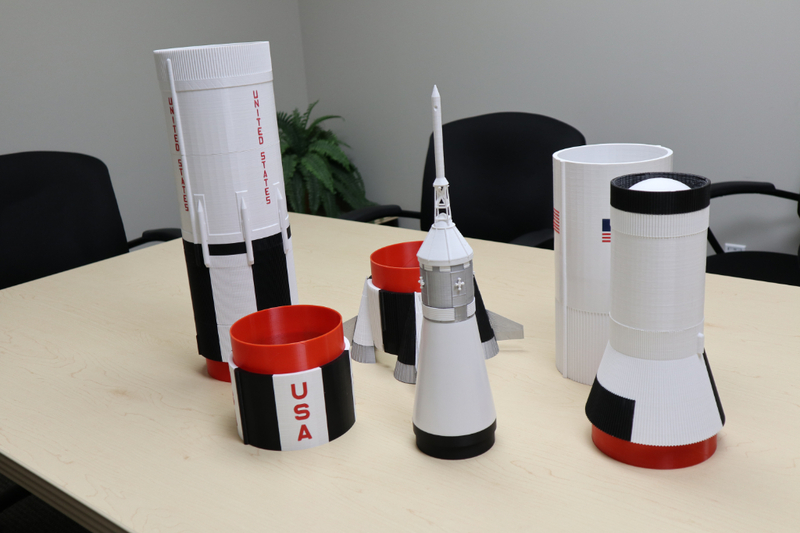 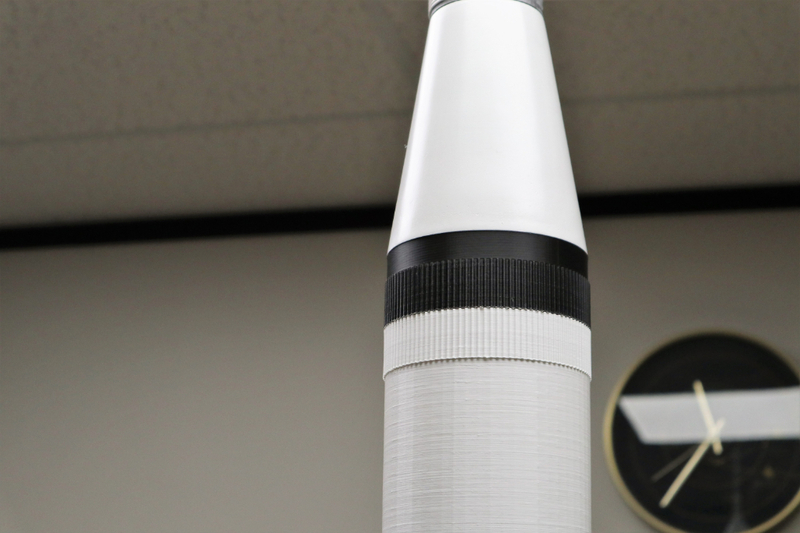 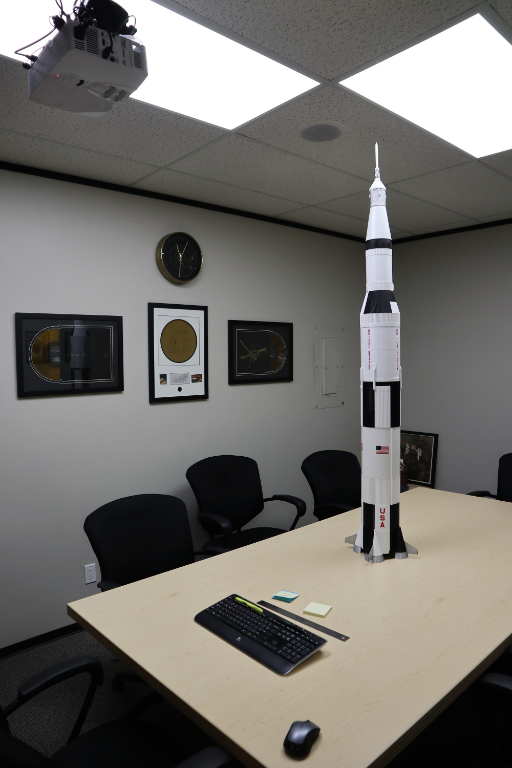 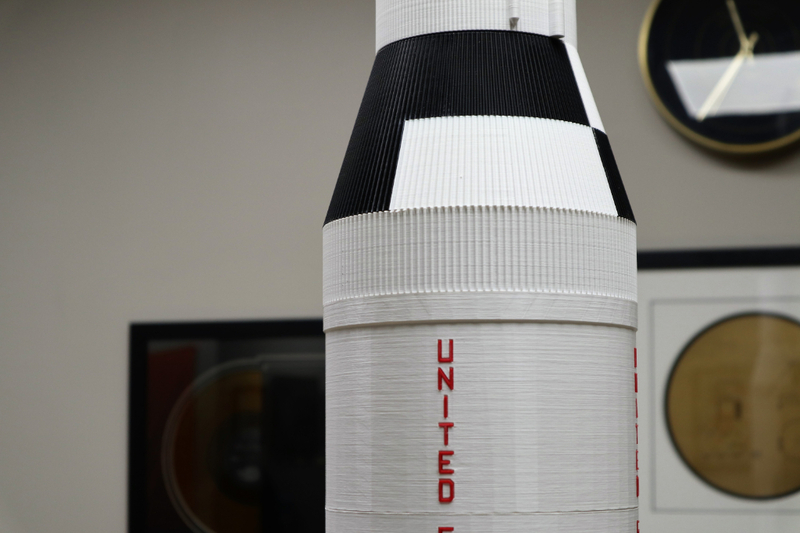 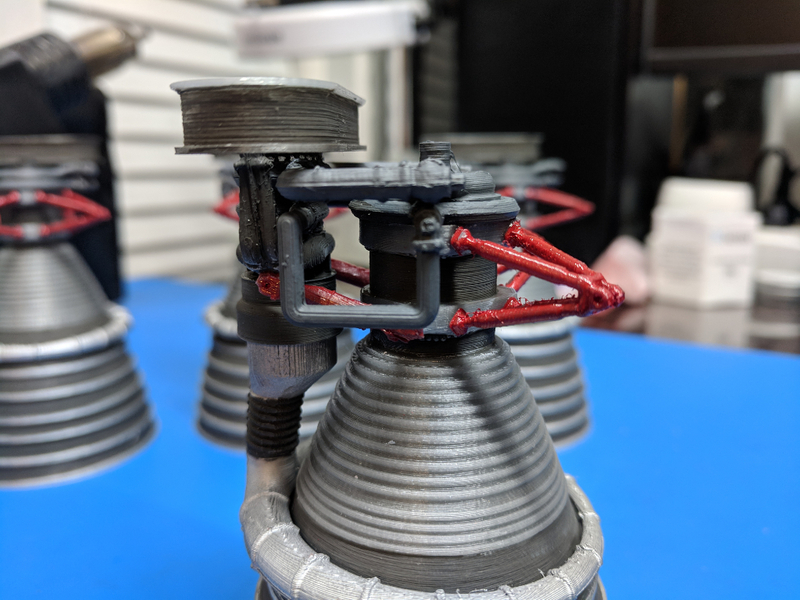 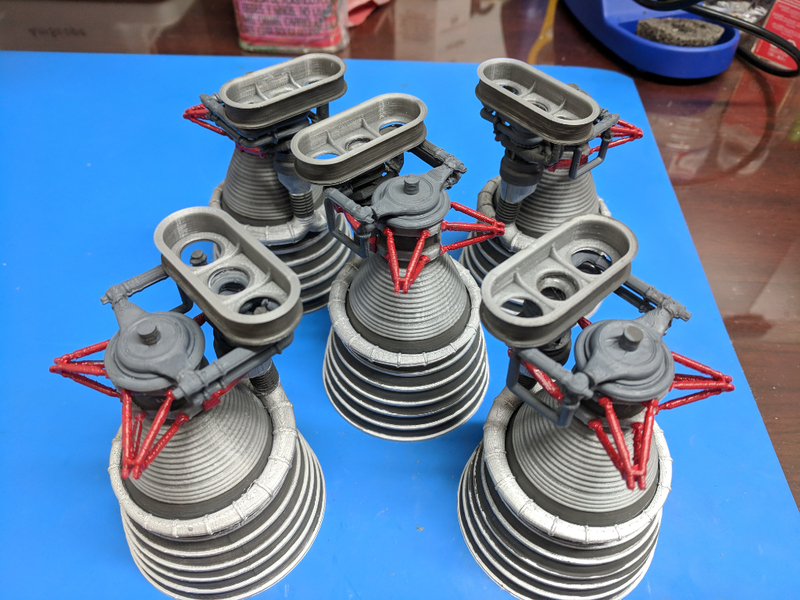 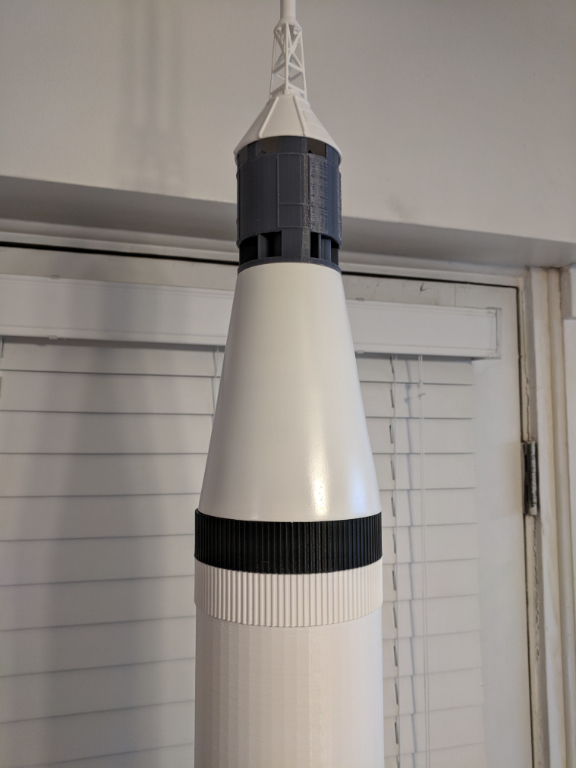 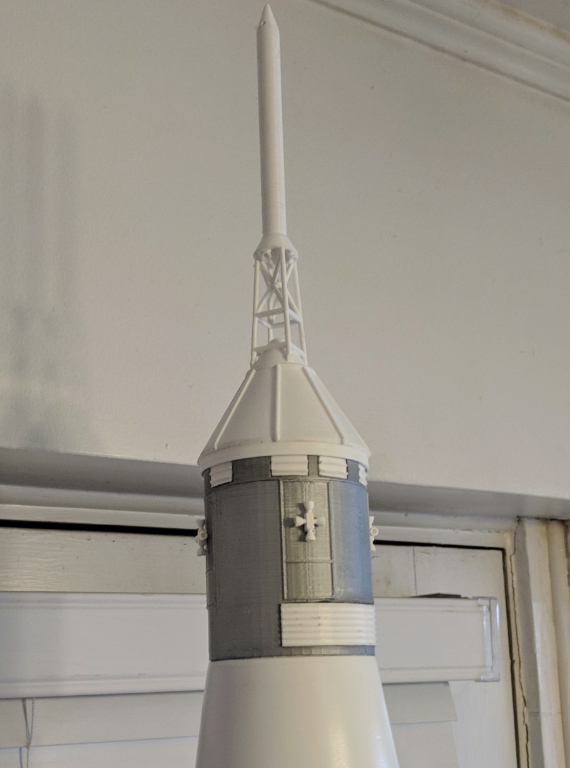 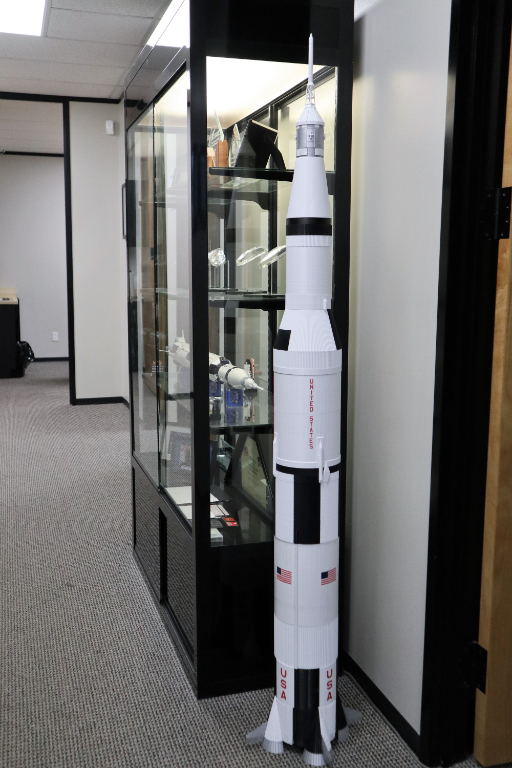 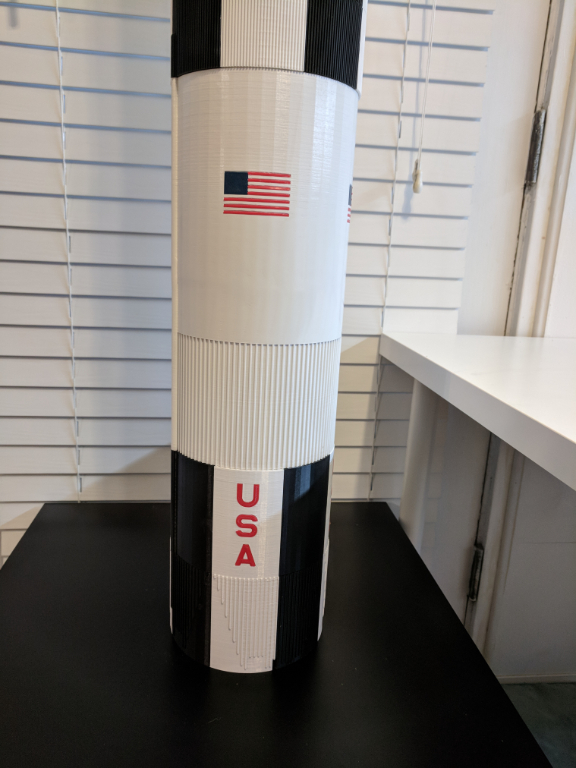 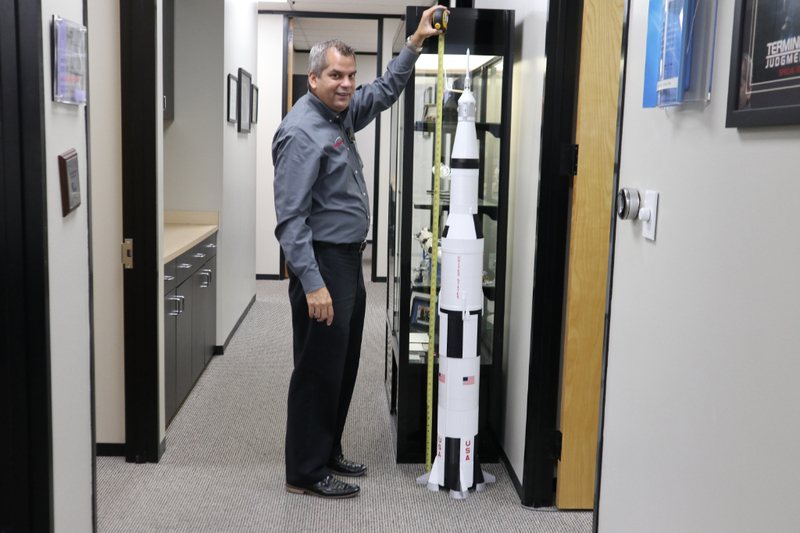 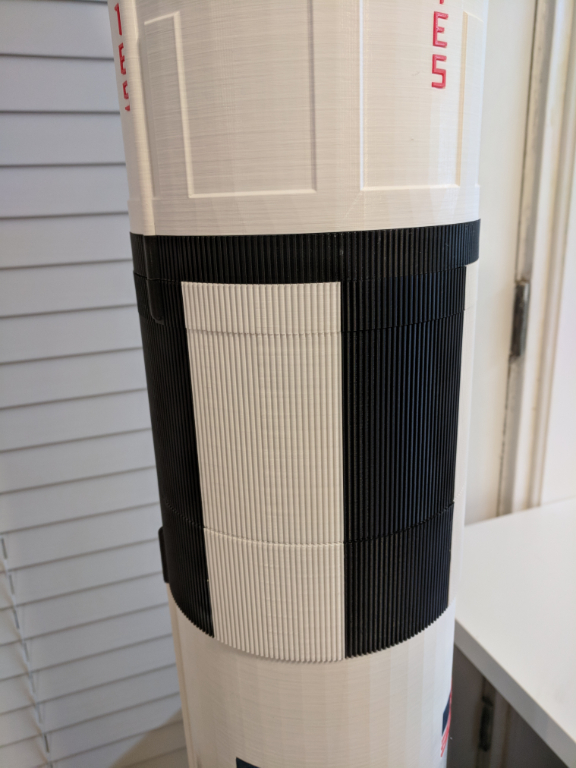 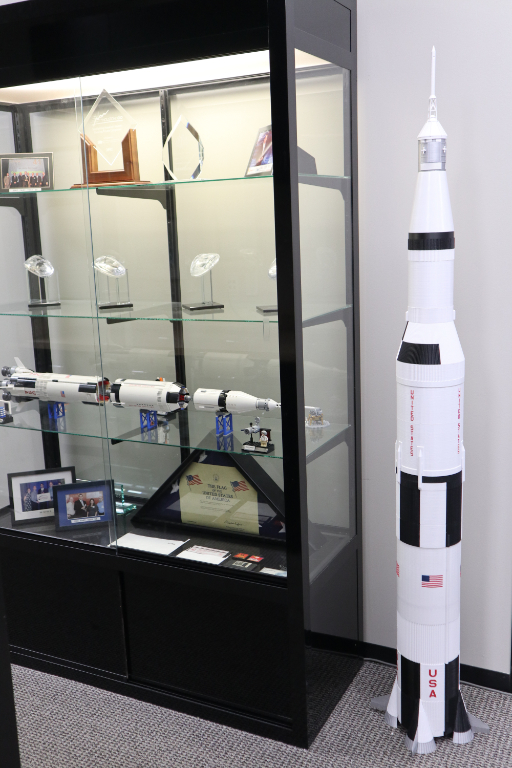 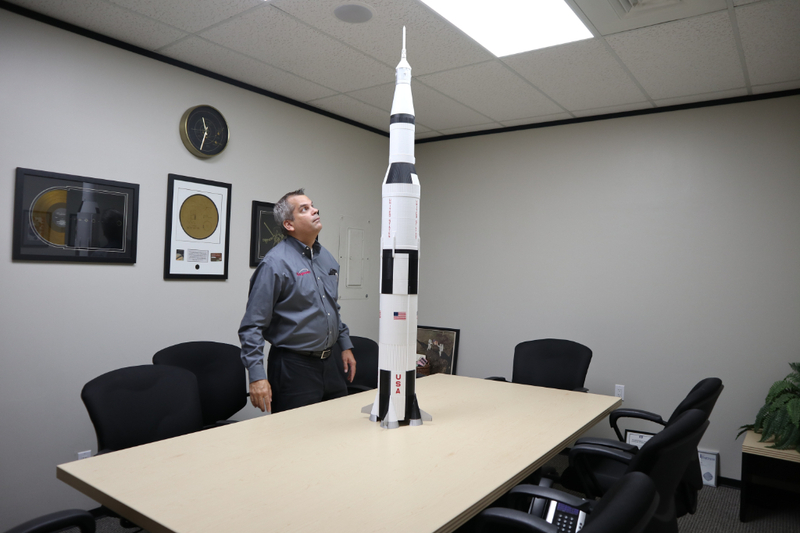 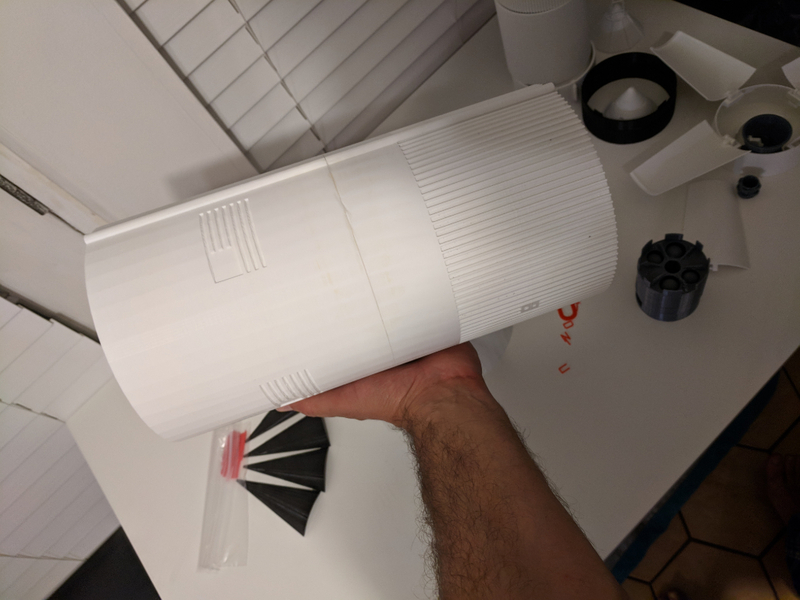 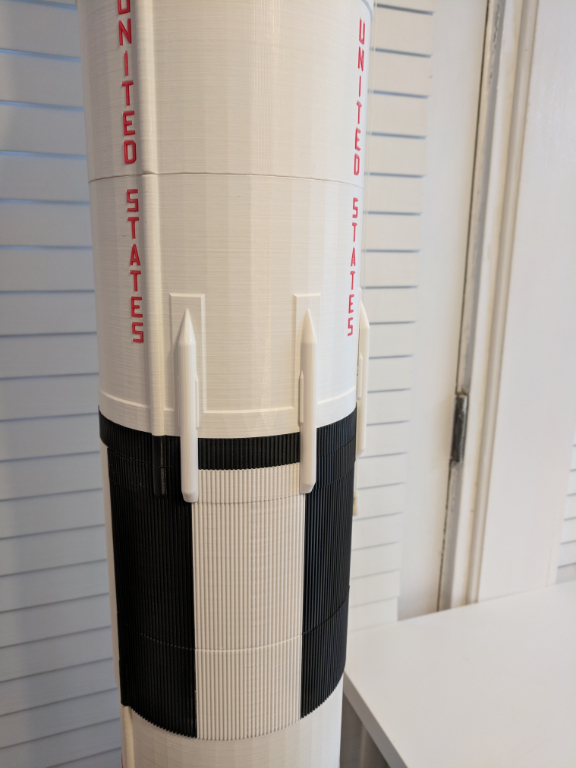 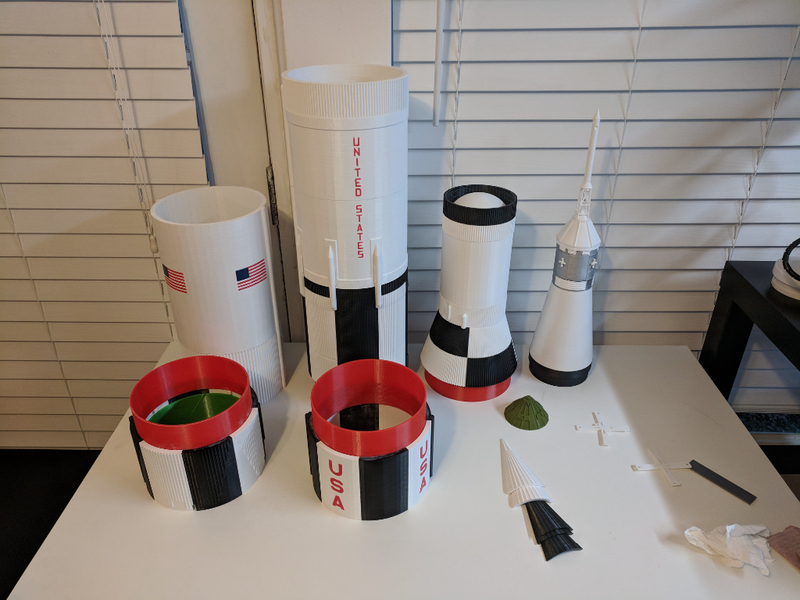 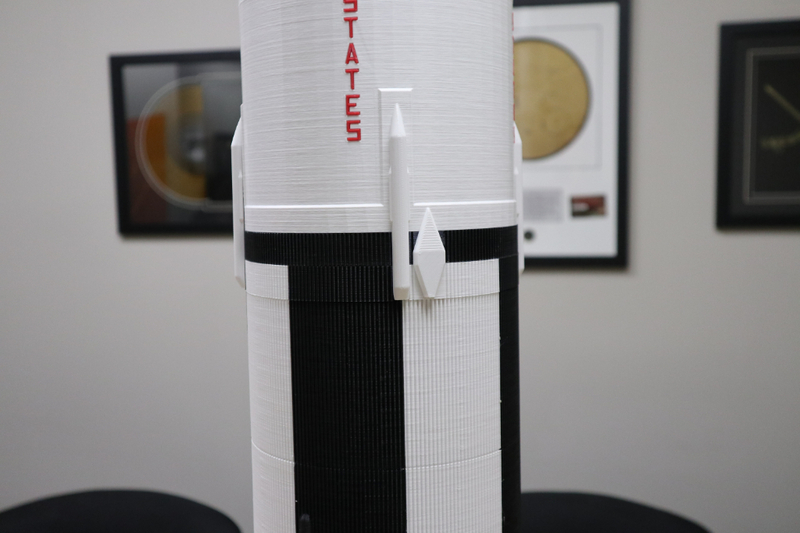 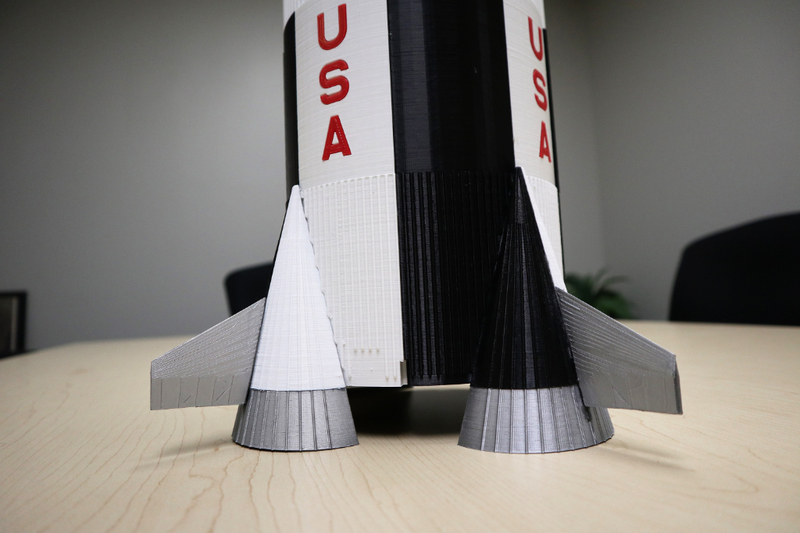 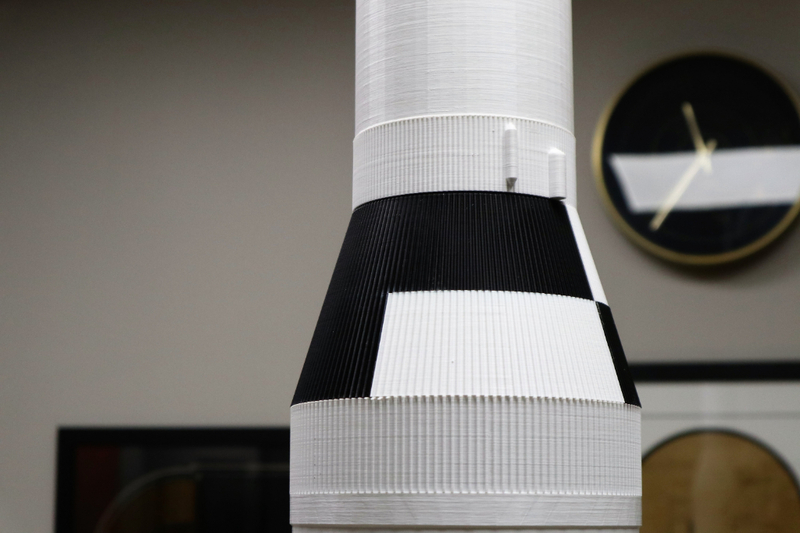 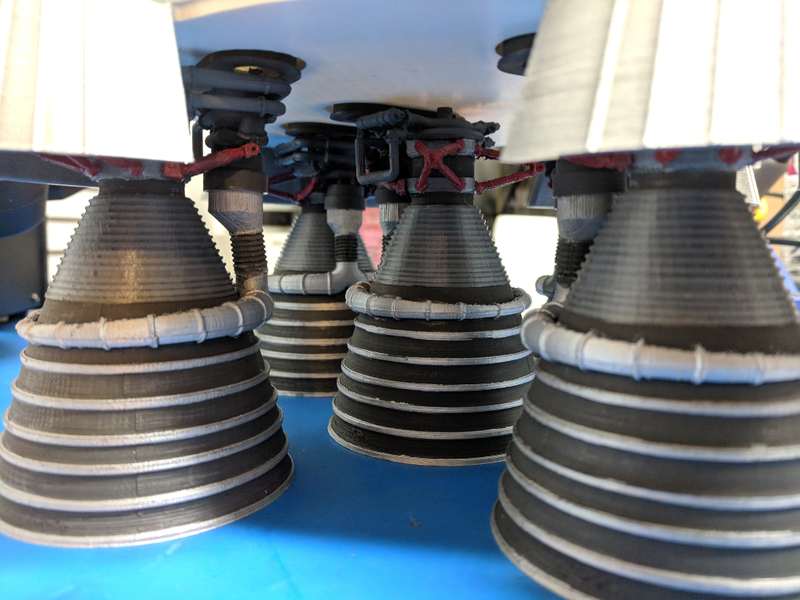 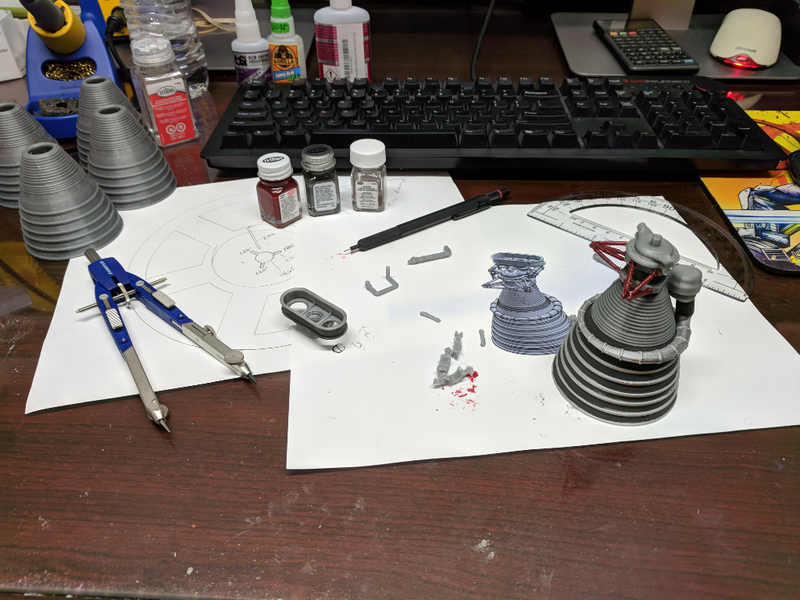 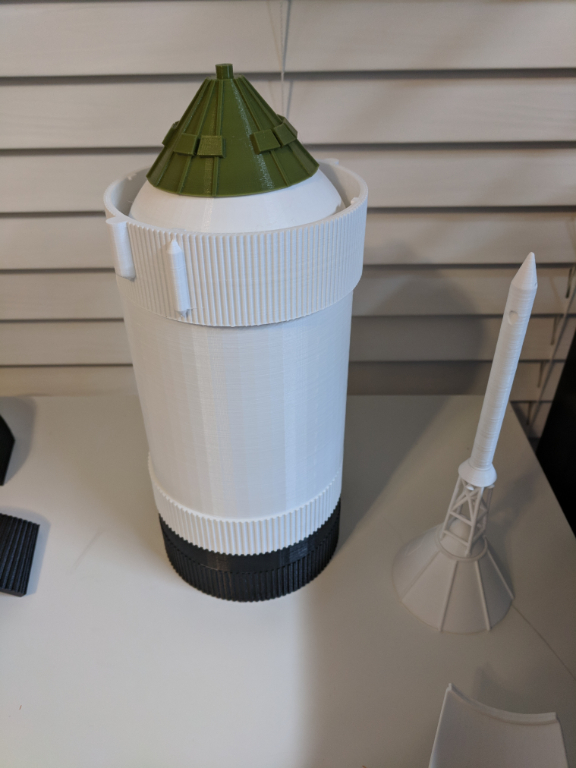 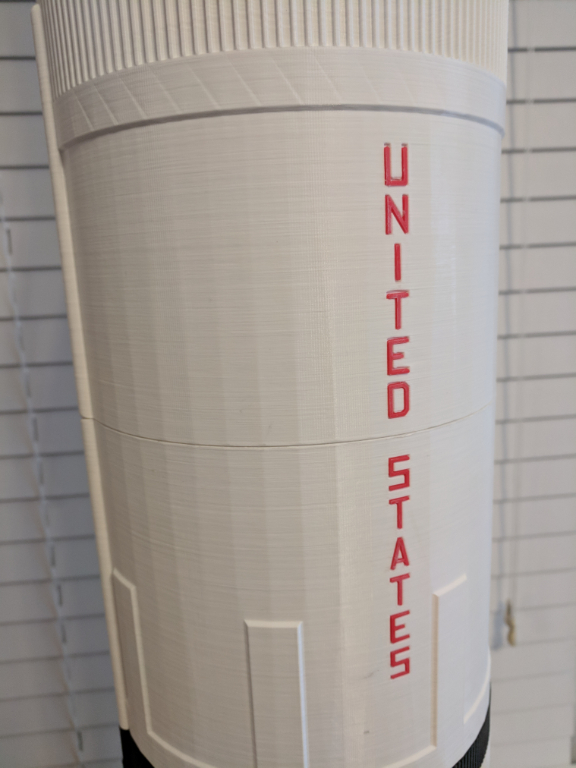 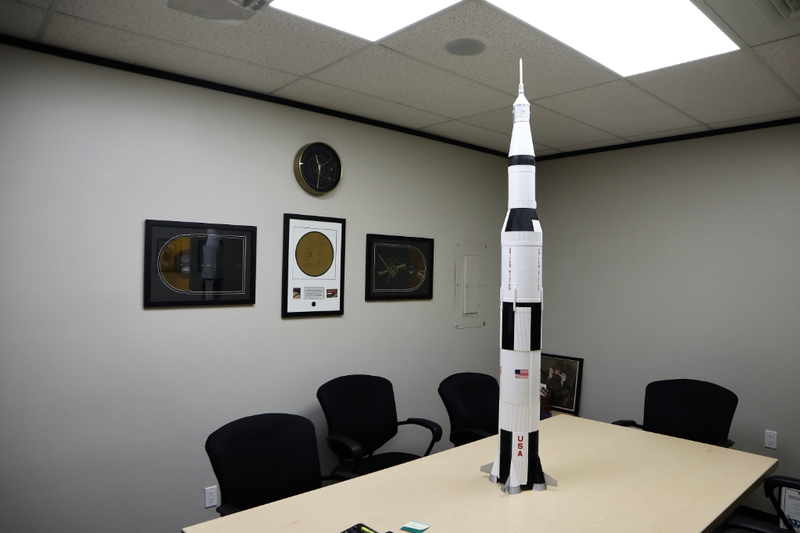 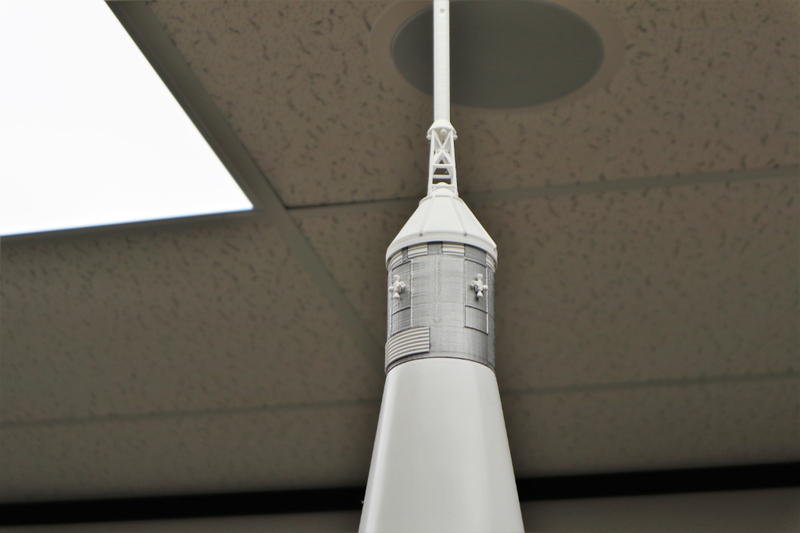 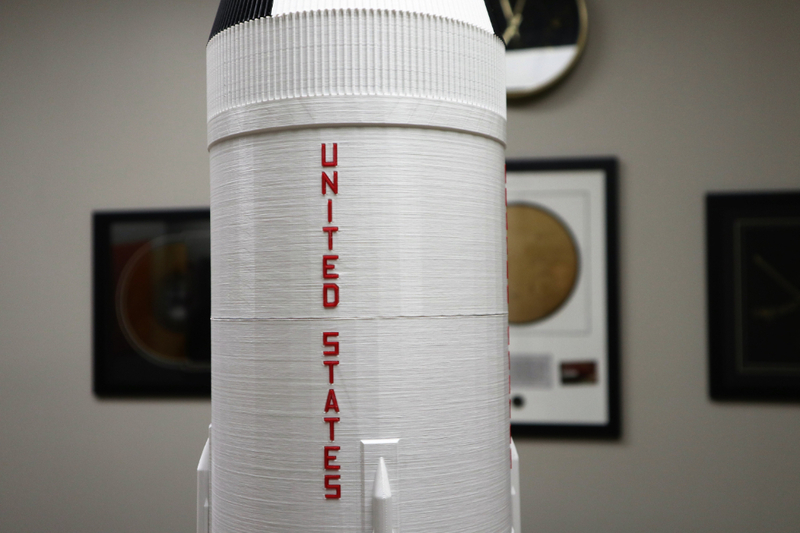 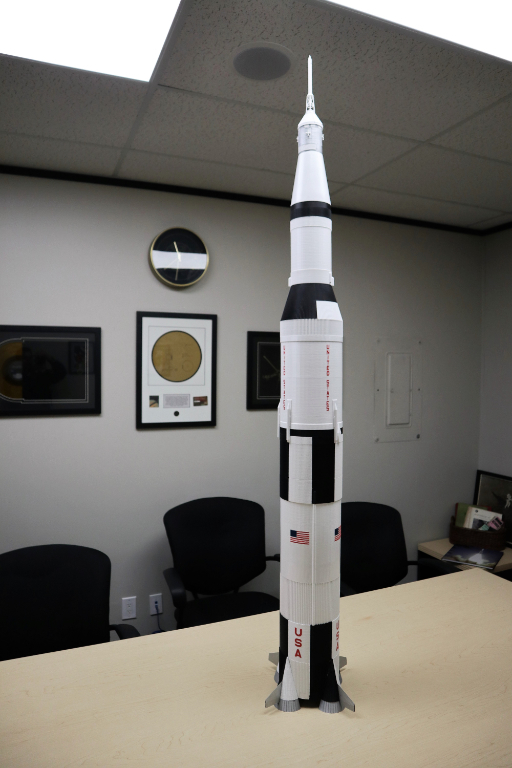 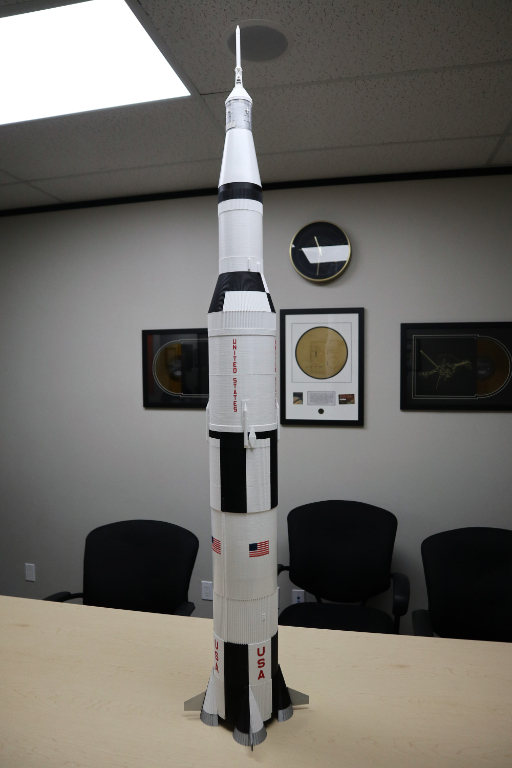 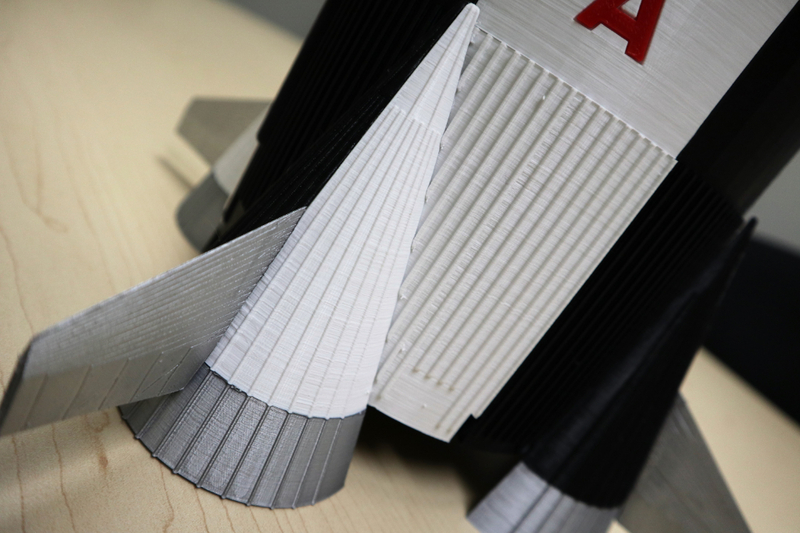 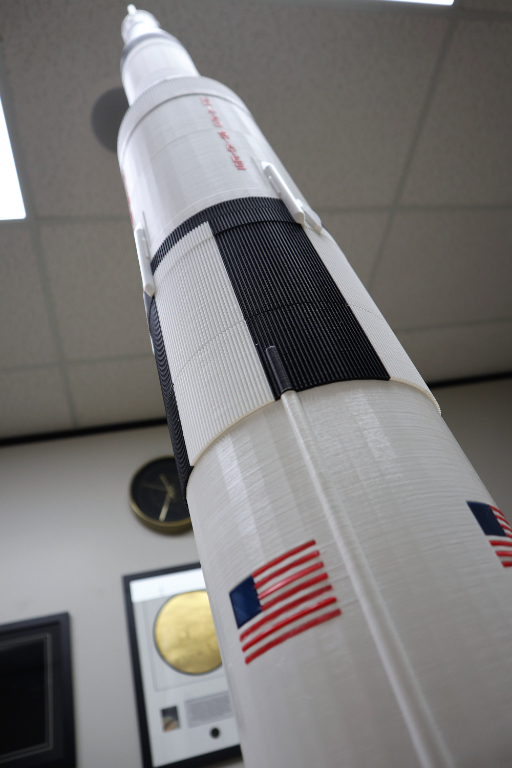 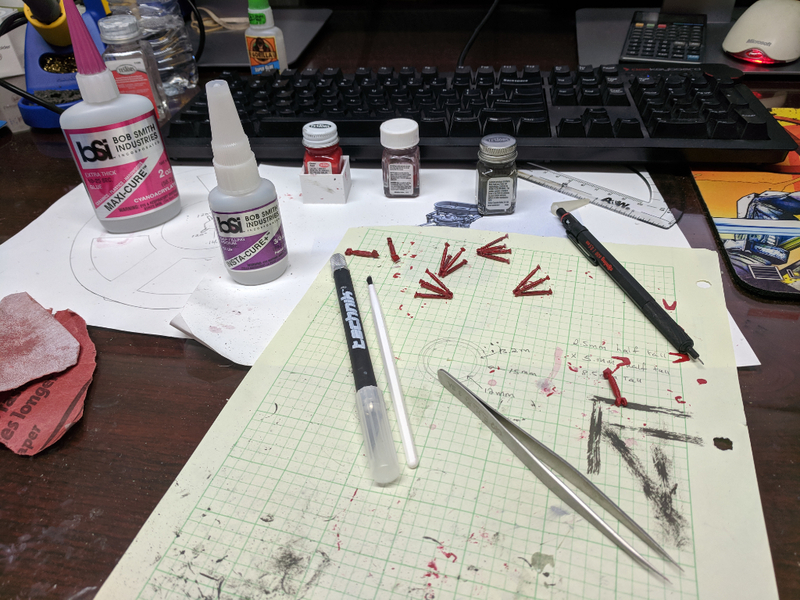 We started the 6ft Tall 1/60th scale Saturn V model project in May 2018. 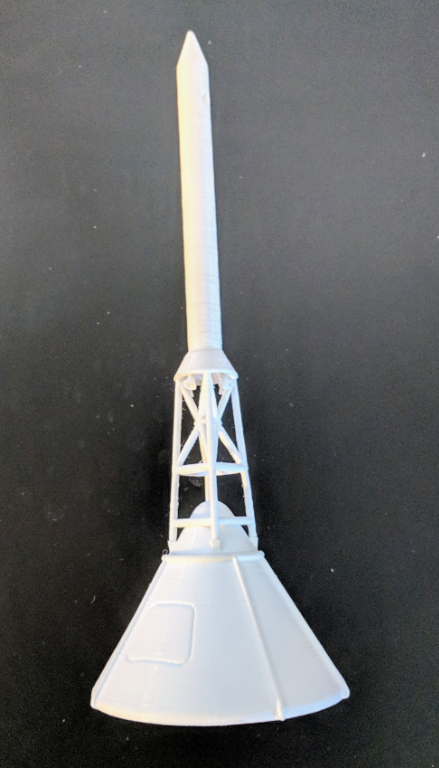 We used Paul Fischer's (farscape1) CAD files, as a base, and went from there. 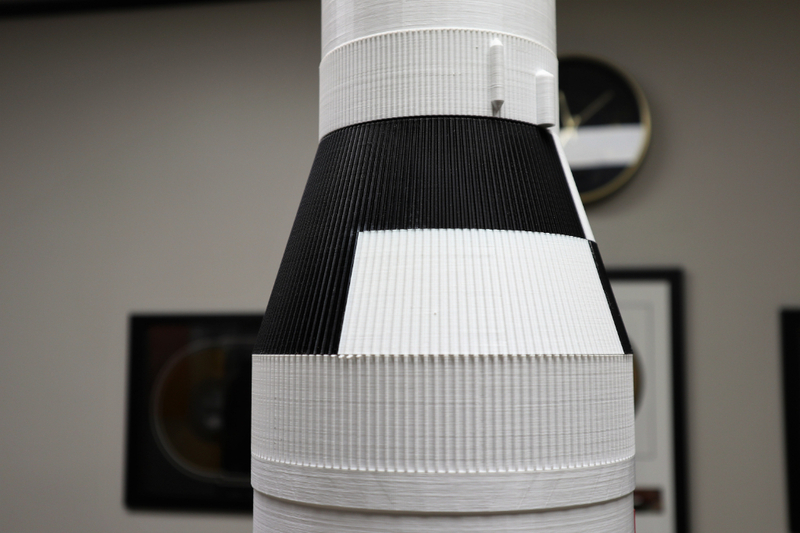 We cannot thank Paul Fischer enough for sharing his incredible designs with us. 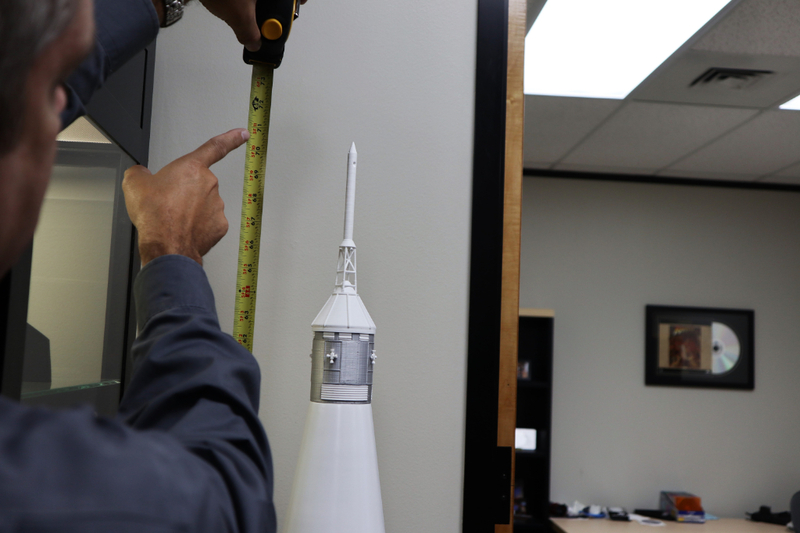 The below documents the build history detail. 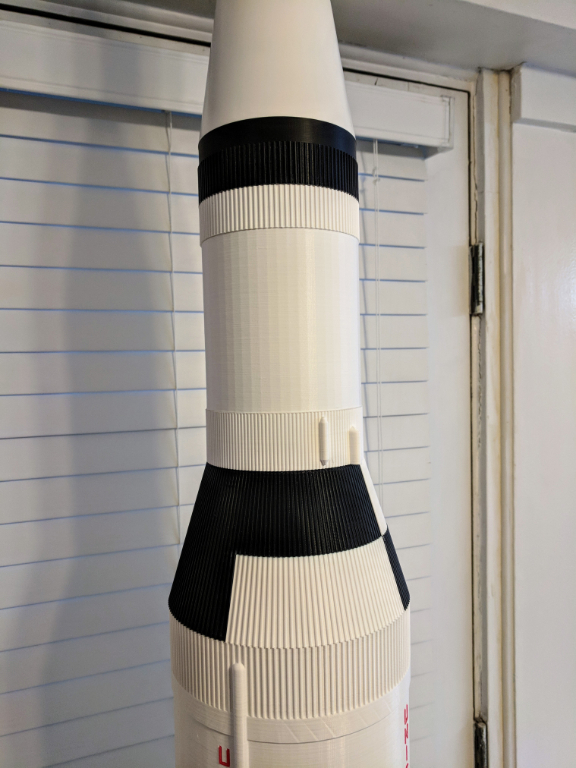 Printed using a Prusa i3 MK3. 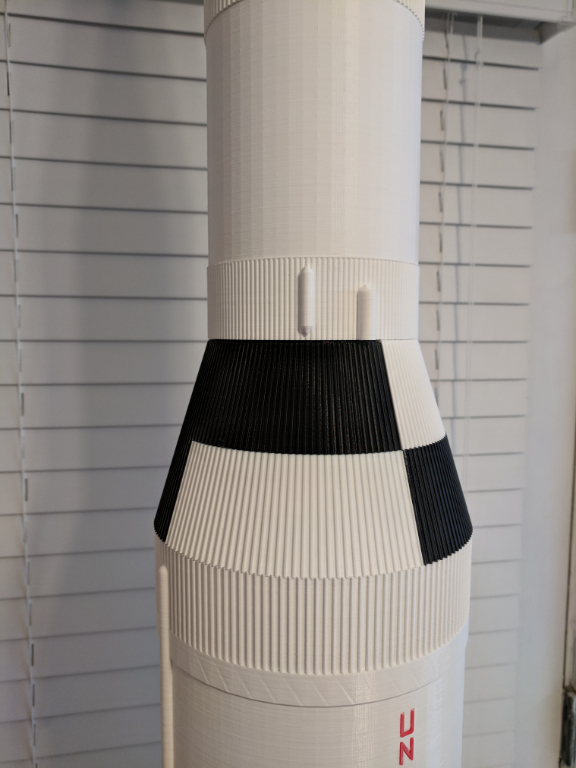 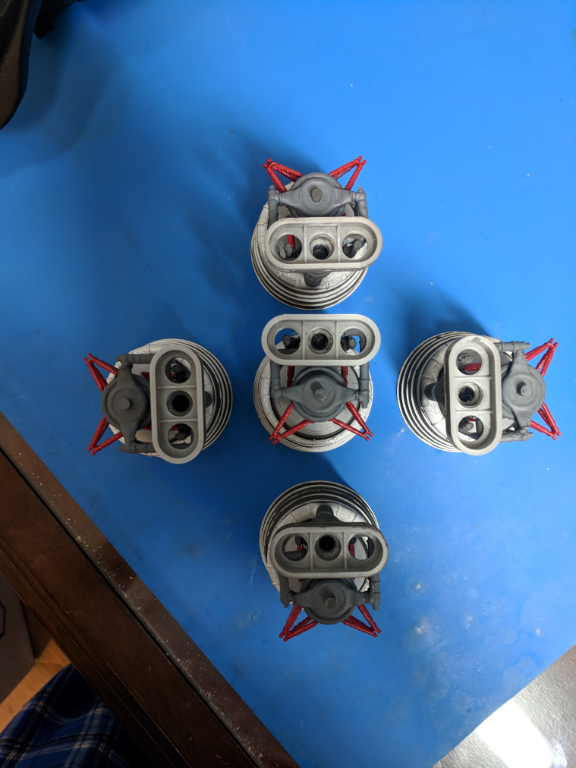 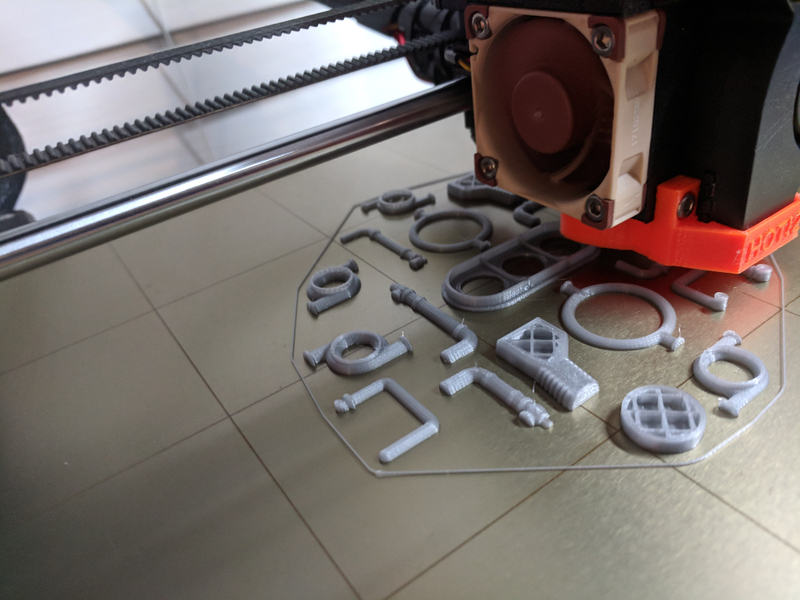 We used MatterHackers White MH Build Series PLA Filament – 1.75mm (1kg) for the stages. 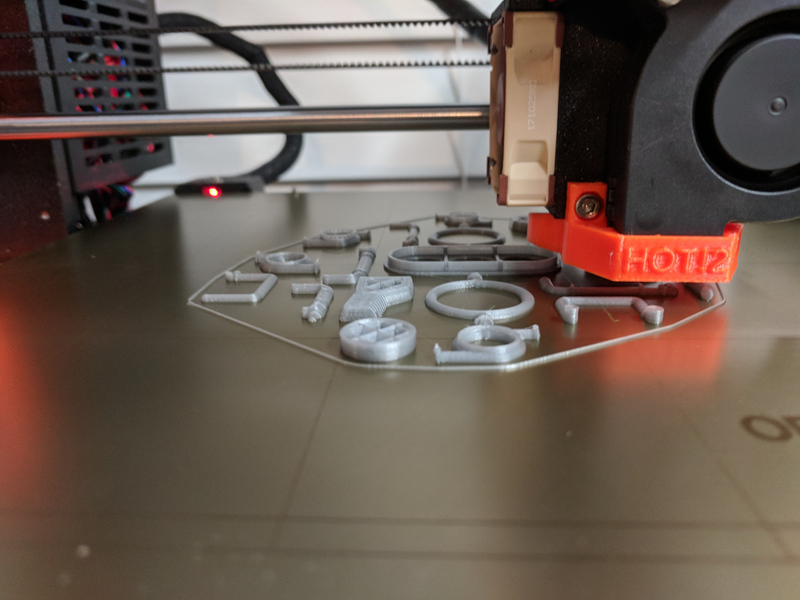 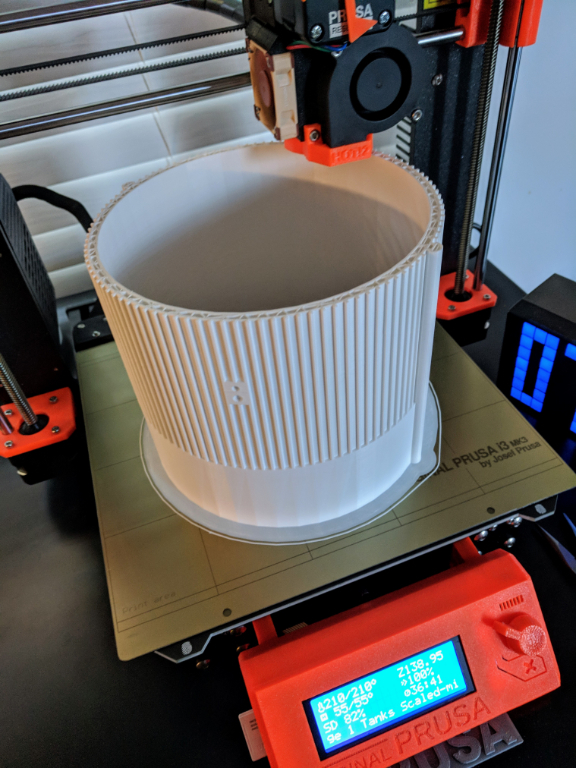 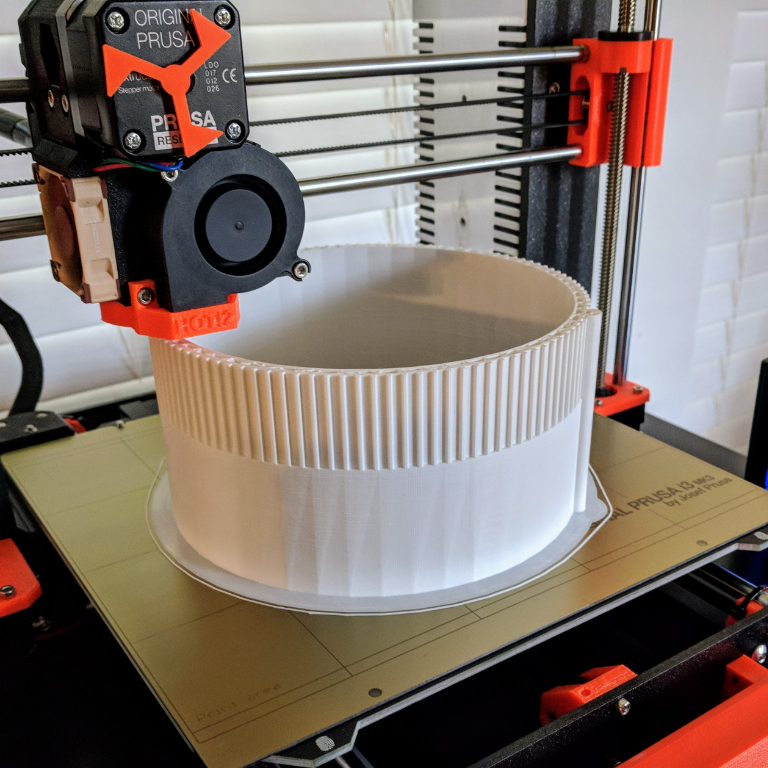 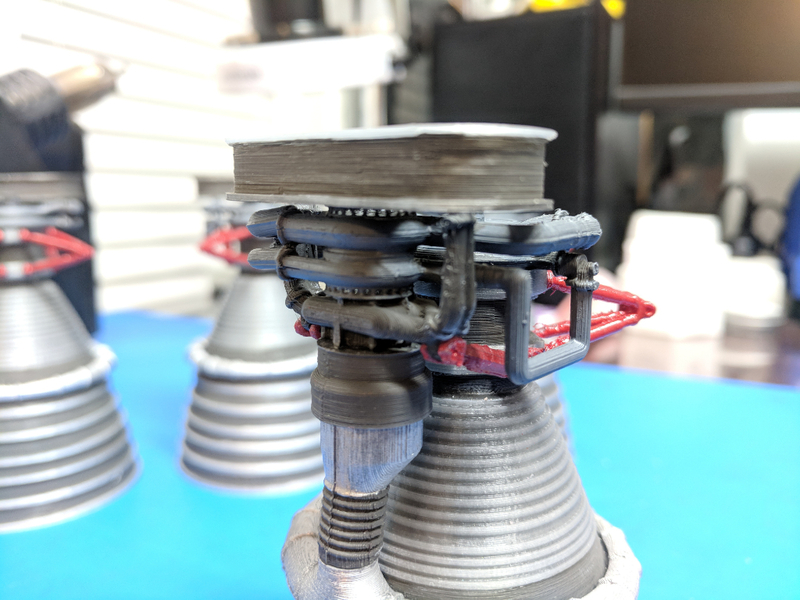 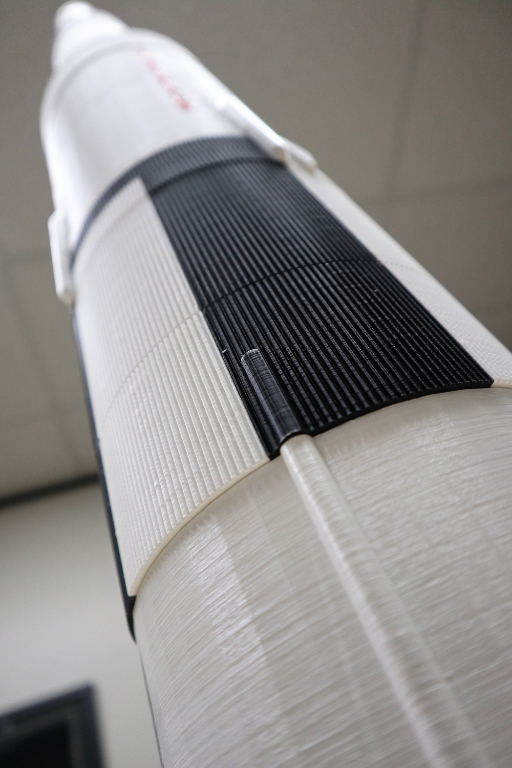 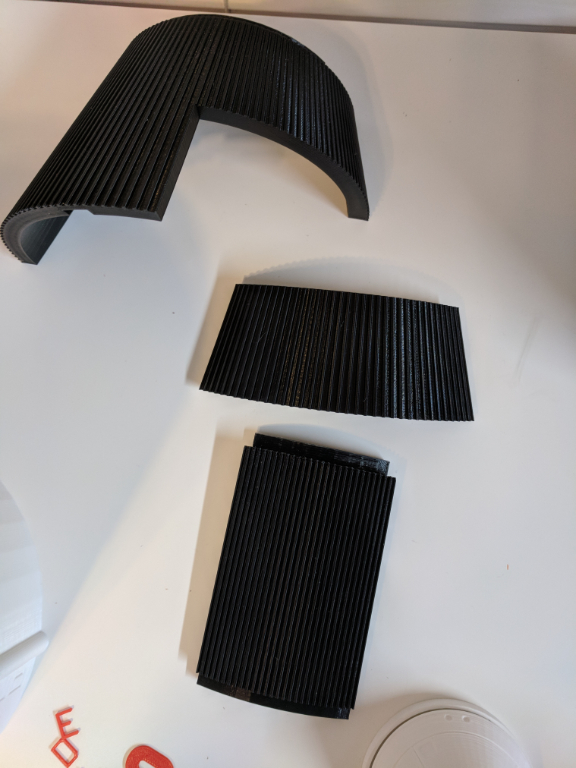 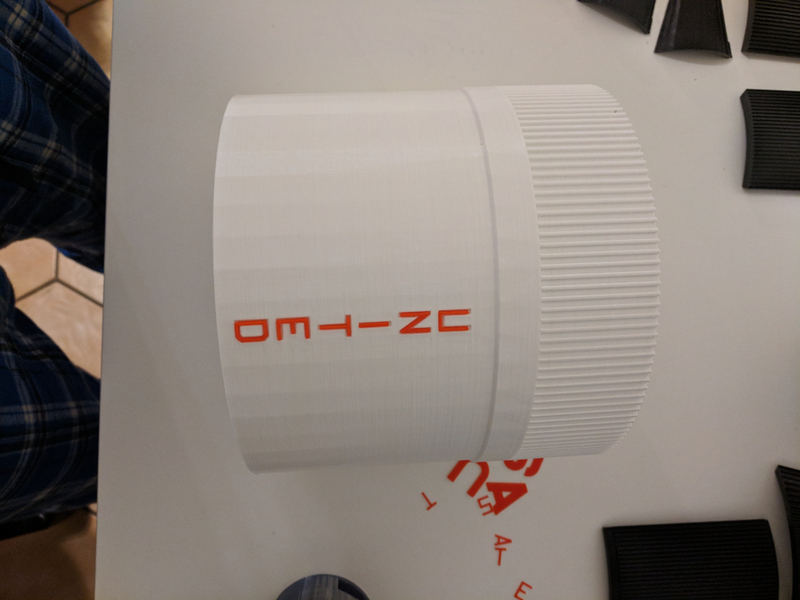 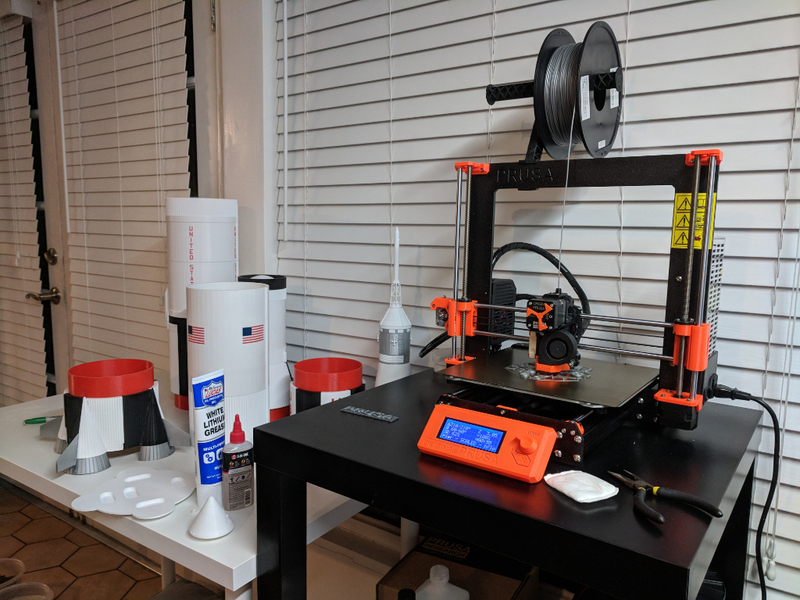 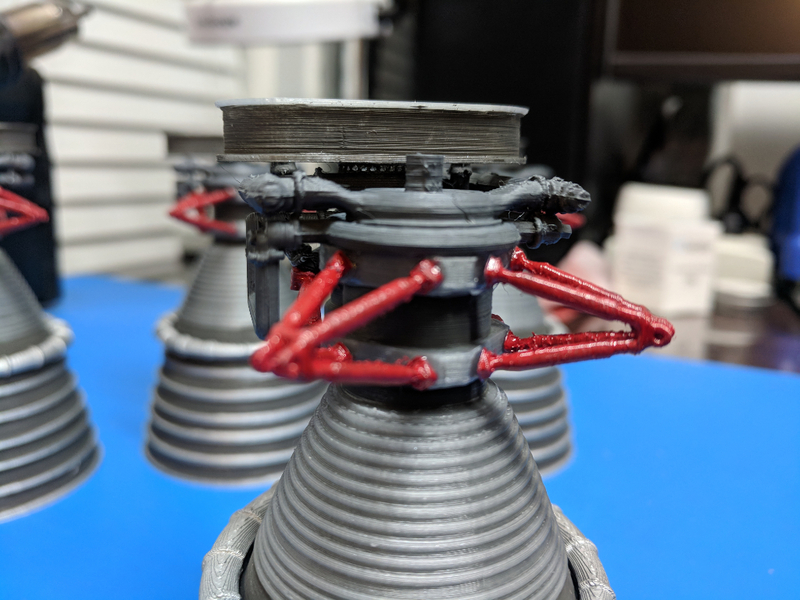 The first stage took 48 hours per section to print.